A guide to what you need to become a successful cheerleader. 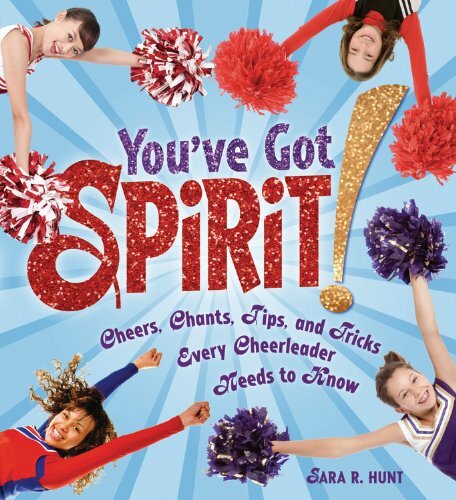 Beginning with a history of cheerleading, this book shows cheer gear, different motions and stunts, and includes traditional cheers and chants. It also emphasizes good habits for succeeding in cheerleading and life: eating healthy, building team spirit, hair and nail care, both on and off the field, even tips on having a successful tryout. Skills that are valuable in cheering include enthusiasm, commitment, even listening. So even if your young reader does not make the squad, she will gain some insight into how to succeed. This is an accessible introduction to the world of cheerleading. There is a constant emphasis on safety and reminders to get a coach for specific instructions for doing the stunts, letting the reader know that athleticism is expected of a cheerleader. There is also a section on how to put hair into the perfect ponytail and making cheer bows, so this is definitely a girl book. The photographs are lively and the whimsical diagrams act as a picture dictionary of cheer terminology. The book includes a glossary, a bibliography of both fiction and non-fiction titles, a list of websites and an index. Even though this book has a reading level of 6.2, its general information will appeal to a younger reader and makes it a good choice to read to a younger book buddy. Because of its clear table of contents, a student could easily make an outline of the book’s content as a literacy activity. There are downloadable activities at the publisher’s website: (https://www.lernerbooks.com/products/t/12456/9780761386346/youve-got-spirit). The target readership is pre-teens and teens – grades 4-8 – an age when requests to ‘wear a helmet’ may not always go down smoothly. 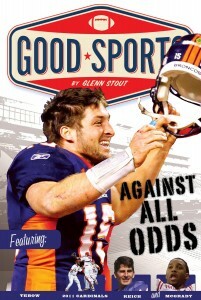 Wisely, the author backs up his precautions with irrefutable reasons, “For a pro, a bad fall can mean the end of a career. 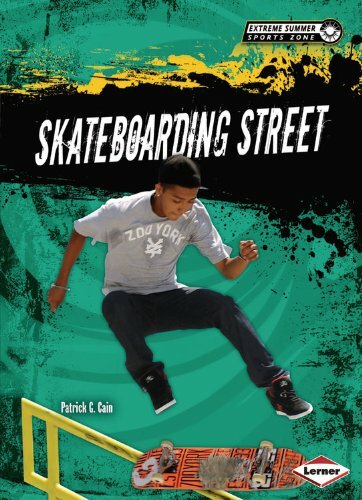 For an amateur skater, a rough fall can mean giving up a favorite hobby.” Skateboarding Street can be a good read aloud with interesting discussions on the incredible tricks that the skaters can perform and the need for safety. The story traces the development of the sport from its early days to its acceptance as a mainstream sport. It profiles the heroes, both past and present, boys and girls. The history of skateboading is outlined, along with a two page spread showing the elements of today’s skateboard. We also learn that the right safety gear should include a helmet, knee pads, elbow pads and wrist guards. The last chapter talks about going pro. “Most skaters will never have the opportunity to go pro.” However, most skaters skate for enjoyment, and there are plenty of local competitions to participate in. Many skaters videotape their moves and post the video online. 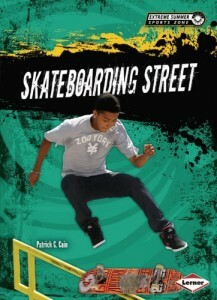 Skateboarding Street contains many action shots that give a feel for fluid movement and tricks of the sport. A definite recommendation for all libraries and reading lists.